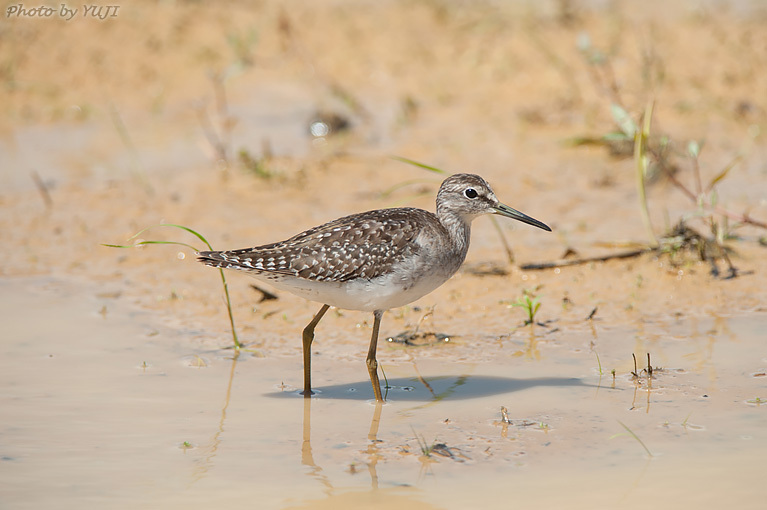 The total length of the Wood Sandpiper ( Tringa glareola ) is about 20cm. Japanese name is Takabu-shigi. It's a migratory bird. It will come across as traveler or winter bird to Okinawa. They inhabit the waterside such as paddy field.